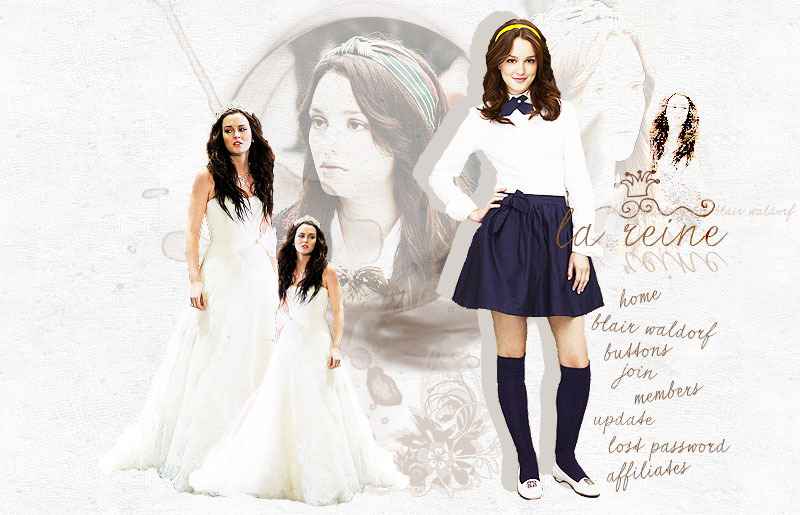 La Reine: The Blair Waldorf fanlisting. Part of Written-Sins.org. Open since June 7th 2004. No copyright infringement intended. All images � to their respective owners. This is a non-profit, fan-run and non-official site. I am in no way affiliated with Cecily von Ziegesar, The CW, The Gossip Girl franchise or Leighton Meester. credits contact xhtml css fight spam!